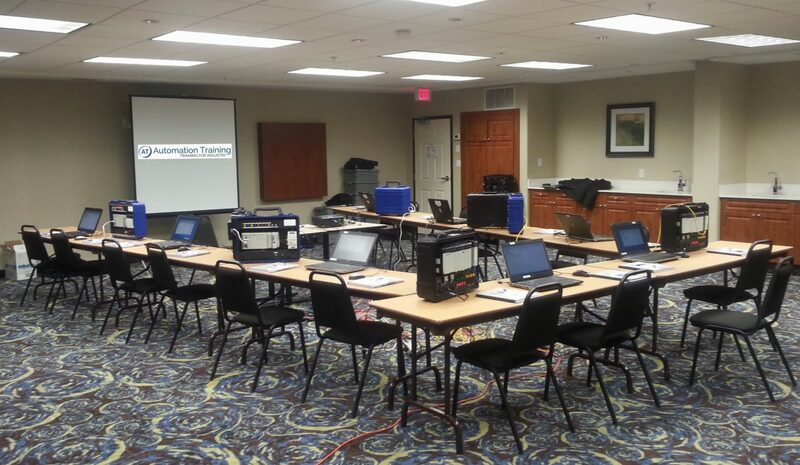 Our Instructor-Led Training in a comfortable classroom environment is the best PLC training in the industry. We offer courses in Allen Bradley PLC’s, Siemens, WonderWare, and much more. Courses alternate between presented material and hands-on exercises using the equipment found in your factory. There is no better way for maintenance personnel and engineers to learn automation. With our PLC training you will be taught the latest technical knowledge under the best instructors who are associated with automation industry processes. Our instructor-led training takes place within a comfortable classroom environment, and is considered the best PLC training in the industry. Check our schedule for classes and dates near you. There is no better way for maintenance personnel and engineers to learn automation. All equipment, computers, software and course materials are provided to simulate the equipment on the plant floor. We will come to your site or you can come to ours. With hands-on training you can ask questions to an experienced instructor. Use our equipment and it will save your company hundreds of thousands of dollars from buying training stations. We maintain the equipment and keep it up to date for you.